With the impending release of The Darjeeling Limited, Wes Anderson (Royal Tenenbaums, The Life Aquatic with Steve Zissou) fans everywhere can get a taste of what’s to come with his short film Hotel Chevalier. The 13-minute short film is a prequel for Darjeeling stars Natalie Portman and Jason Schwartzman who play estranged lovers that meet one last time. 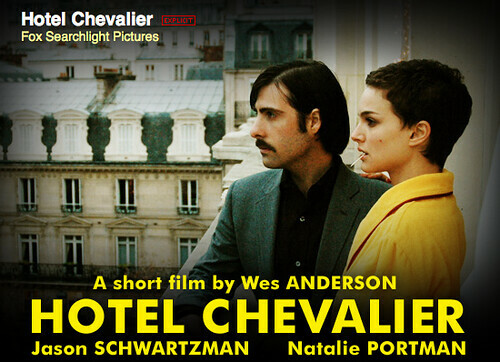 Hotel Chevalier is a free download on iTunes (US).